Of our mouse and rat deterrents, we recommend electronic repellers that work by emitting ultrasound waves, inaudible to humans, but painful for rodents, causing them to flee the area. 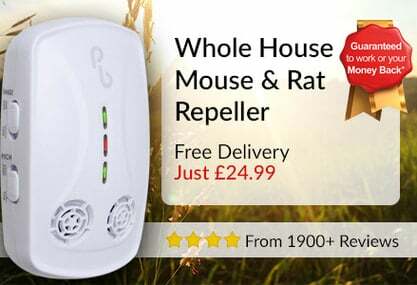 Preferred to conventional pest control solutions, these devices provide a long term solution to your problem, acting as a deterrent against further rodent colonisation. By contrast, traps lined with bait can actually attract rodents and leave one with the problem of cleaning up diseased pests. 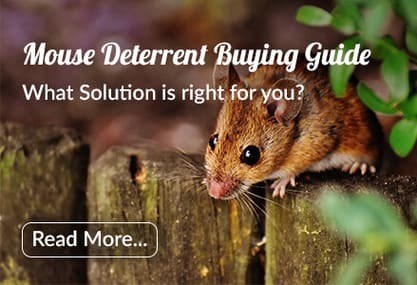 What are mouse and rat deterrents? Mouse and rat deterrents act to make an area inhospitable to rodents causing them to leave the area. What is the best solution to rodent infestations? Primrose recommends ultrasonic repellers, which emit a high frequency sound, inaudible to humans, but annoying to rodents, who use this frequency to listen for predators. This causes them to leave the area, allowing you to then seal any entry points. Primrose stocks clinical solutions to your rodent problem that are best used after you seal any entry points. This is because clinical solutions only make room for new rodents, thus you must create barriers to entry. Mouse traps and poisons take time to work as rodents are initially wary of new introductions. Key is to keep them out of reach of both pets and children.